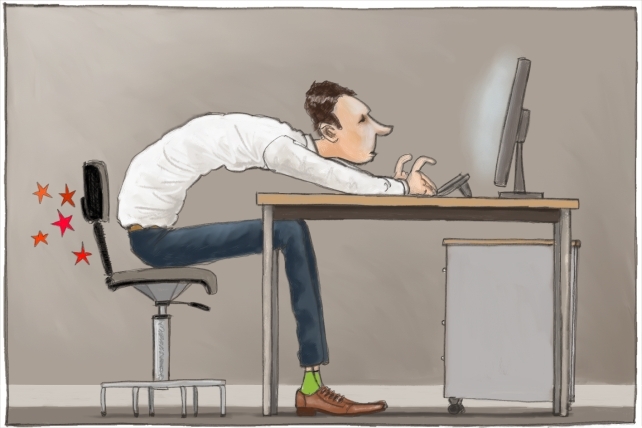 Sitting is the New Smoking - Do you spend your day sitting at work? Learn the consequences here! 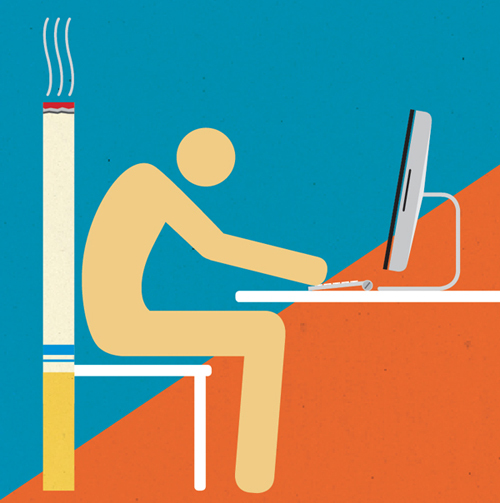 Sitting is the New Smoking - Do you spend your day sitting at work? Learn the consequences here! What if I were to tell you that you are doing something bad for your body EVERY SINGLE DAY! How many hours a day are you sitting around? How many hours are you choosing to sit and watch television rather than move around. Sitting really is the new smoking. watch a show, play a game, or scan social media rather than move around (I of course say this as I am sitting down typing: the irony is not lost on me). It is time for you to really contemplate how often you are choosing to sit around and flip through your Facebook rather than going on a walk! Gain Weight: Is it really a big surprise that sitting more causing more weight gain? Your ability to process food will go down and it weakens your metabolism. Decrease Heart Health: Your heart is responsible to push blood throughout your body. The stronger your heart and the more proficient the heart, the healthier your body is. Your heart is strengthened from exercise and healthy habits. Therefore, sitting is going to weaken your heart and lower your heart health. likely you are to die an earlier death from various reasons. 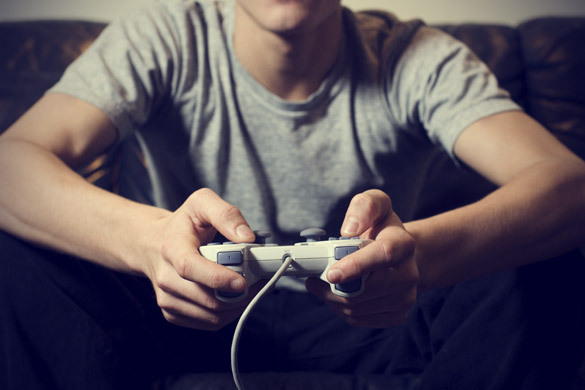 Many studies have shows that the most sedentary people have 22-49% greater risk of earlier death. Sitting for Too long is Linked to Disease: Sitting for long period of times on a regular basis is heavily linked to diabetes as well as heart disease. At this point you might be kind of worried because you catch yourself sitting quite often. I know many people who have cubicle positions where they are expected to sit and stare at a computer screen for 8 hours a day. Well, just because you have this kind of job doesn't mean you are destined get a disease and die an early death. There are ways to combat sitting for long periods of times. Stretch Often: When you are sitting at your desk make sure that you are continually stretching out your legs and your arms to keep the blood flowing. 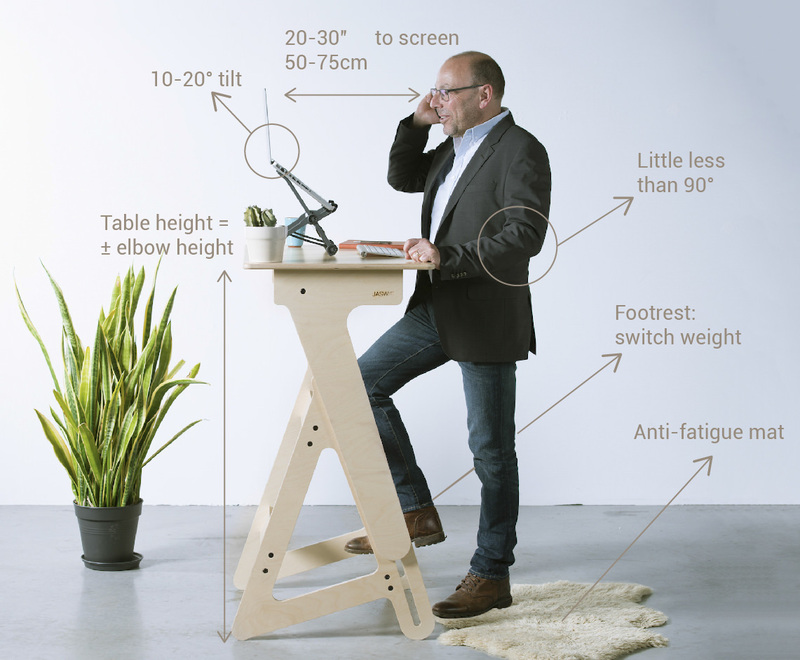 Jaswig Standing Desk. Developed in Akron - built in Cleveland, Ohio! Change Office Set Up: If you have the option you can place your phone, your fax and other things that you use often around you office so that you have to get up and move every time you want to use that item. Sit on Exercise Ball: You can exchange your chair with an exercise ball. These are fun and can get you moving. Don't let sitting kill you! Try to move more and start being more conscientious of the amount of time that you are sitting around. It is recommended to get at least 10,000 steps a day. How many are you getting? If you are interested in learning more about how sitting as directly effected you and your body, call us today! One of our local personal trainers will come on out and do an in-depth assessment examining your posture and more. Thanks for reading!